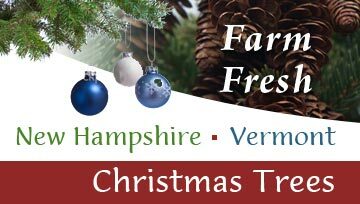 The New Hampshire - Vermont Christmas Tree Association was organized in 1956 to give growers and wreath and brush producers the means to work together on the production and marketing of high quality Christmas trees and related products. The Association meets three times a year: Spring and Fall meetings are at member farms. The Winter meeting is held in conjunction with the Vermont Farm Show. Typical meeting agendas include such topics as marketing, bookkeeping and taxation, mechanization, fertilization, insect and disease problems and controls, and labor and legislative issues. Pesticide recertification credits required to maintain a pesticide applicators license are generally available at all meetings. The Association publishes a newsletter, Tree Line, which is received either on line or in hard copy three times a year. The Association assists members in purchasing major inputs at lower cost through our Group Buying program. The Association assists members in marketing their product through preparation of an annual WholesaleBuyers Guide. This is made available on-line, is editable as the season progresses and as product availability changes, and is downloadable for those in need of a printed copy . Perhaps most importantly, the Association offers a chance for great discussion of problems and opportunities with other experienced growers. The importance of this forum cannot be overestimated. Regular: Persons who are directly engaged in any phase of growing or handling Christmas trees or related products. 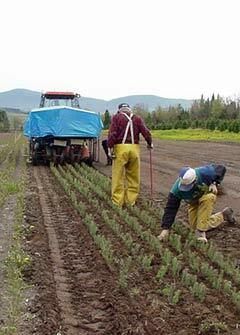 Dues include $20.00 contribution to National Christmas Tree Association Tree Industry Partnership Program. Spousal: Husband or wife of regular member. Same privileges as regular member. Employee: Bona fide full or part time employee of regular member. Associate: Nongrower or non handler who is interested in the progress and development of the industry. Youth: Persons 18 years of age or less who are directly engaged in any phase of growing or handling Christmas trees or related products. Fore more information or questions, please contact us at info@nh-vtchristmastree.org.